Coach Juan is born and raised right here in Salem, Oregon. He didn’t participate in sports growing up, but at 23 years old, on a trip to Tijuana, he experienced a life-threatening situation that changed his life. As a survivor, he felt inspired to start training athletically. He’s been training in CrossFit since 2012, and apprentice coaching as his full-time job allows. Juan loves CrossFit training, and the community that is created as people participate in achieving their health and fitness goals. 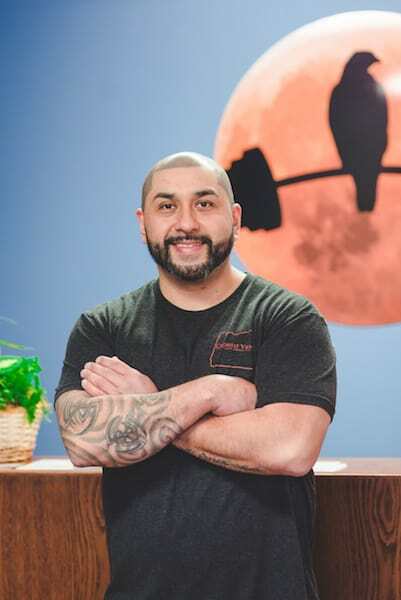 Juan (and his wife) started as athletes with CrossFit View from the first day our doors opened, and he quickly transitioned into a coaching position with us. Juan is bi-lingual, and he’s motivated to also reach out to the Latino community. Many people will benefit from his knowledge and skills here in our community.